The Big Bang Theory continues to make history by breaking another record and this time for becoming the longest-running multi-camera American sitcom. The famous TV show has overtaken Cheers with the 276th episode in its final season. The Big Bang Theory has made history in its twelfth and final season, earning a title as the longest-running title. The show will air its last episode on 16 May this year and with the episode 276, this CBS comedy show is officially the longest-running multi-camera American sitcom. The cast, producers and crew celebrated on the set to honour this milestone. Many of them teared a bit while posing in front of the show’s iconic broken lift to mark the occasion. “And there you have it… this script officially makes us the longest running sitcom in the history of television, just surpassing the show Cheers. So cheers to that 🙂 lil Delhi boy, making history,” series star Kunal Nayyar posted on Instagram along with a photo of his script. Other actors from the show also shared their excitement by posting pictures on social media, thanking the fans for their support. No one knows how the writers will end this final season but we expect it to be iconic. We’ll have to wait for May and see how that will go. The Big Bang Theory, created by Chuck Lorre and Bill Prady, premiered in September 2007. 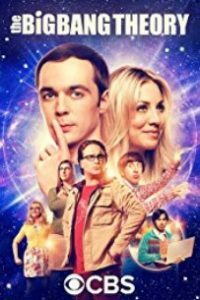 For those of you who live under the rock, the show features two Caltech physicists who share an apartment, Leonard and Sheldon, a waitress Penny across the hall and their socially awkward friends and co-workers who have been promoted to starring roles over the years. The show has won 56 awards over the years of which seven Emmy Awards and one Golden Globe. The longest-running live-action sitcom of any kind is The Adventures of Ozzie and Harriet, which ran for 435 episodes from 1952 to 1966. And The Simpsons tops them all by a lot, with 657 episodes in the can since 1989.